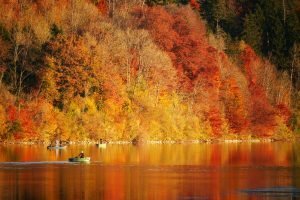 Fall Boat Storage Ideas: Where Do You Store Your Boat Before Snow Starts Falling? The cold season’s about to kick in, and for boat owners, this can only mean one thing: It’s time to put their watercraft away for hibernation. While owning a boat can be fun, it can also be burdensome, especially if winter’s about to arrive. Boat owners are well aware that freezing temperatures can stop the engine and electrical systems from functioning properly. Apart from that, ice tends to change the colors of water vessels, which adds to the damage and costs of restoration. For these reasons, storing your boat before snow starts to fall is a must. The question is: Where’s the best place to keep your boat? Do you believe that practicality is the key? If you do, you might as well keep your boat on your driveway! With this option, you don’t have to spend a single dime, nor should you worry about leaving your boat somewhere else. Although it’s costless and very convenient, storing your vessel in the driveway can bring a number of problems. For one, you can’t be sure if authorities in your area allow outdoor boat storage, and violating a policy could lead to penalties. In terms of your vessel’s condition, you’re putting it at risk for exposure to extreme weather such as sleet, snow, hail, or rain. Leaving it under the sun for long hours can cause its colors to fade. Your boat can also invite stray animals, rodents, and insects if left uncovered. Another location that’s free of charge and provides immediate accessibility is your garage. An additional upside to this option is that your vessel is protected from outdoor hazards. You don’t need to worry about the harsh climate bringing damage to it. Loss of storage space is probably the biggest problem you’ll encounter here. Whether you own a small yacht or a motorboat, you’ll need to transfer some things in your garage outside, possibly even your beloved car. Don’t think for a second that you’ll no longer find pests and rats in your boat just because it’s inside your garage. These creatures are smart enough to come up with certain ways of access. In case you’re new to the boating scene, dry stacking involves storing your watercraft by fork-lifting it into huge sturdy racks along with other boats. Dry stack facilities are found in almost any marina you step foot on. If you don’t mind leaving your boat away from your home, this would certainly make a good choice for you. Storing your vessel in a rack keeps it away from weather elements, environmental hazards, and pests wandering around for a home. Also, you don’t have to worry about theft and vandalism, since the facilities are well-secured. If you’re trying to save up some cash, dry stack storage may not be an ideal option. Monthly fees may differ, depending on the policy of each of the facilities. Prices may be based on the length or width of the vessel, with the maximum of $120 per foot. Do you live in a city that’s not prone to cold weather? If so, docks are probably the best option for you to store your boat. Whenever you feel like taking your vessel out for a sail, it would no longer be a hassle to you, considering the fact that it’s already on the water. Not only are they available 24/7, but you also have the freedom to dock and retrieve your boat anytime you wish to. While these benefits sound so enticing, this storage choice has a few shortcomings as well. For instance, you’ll need to pay the daily fee every time you dock, with the amount depending on the length and size of your boat, and the location. Boat slips can range from $150 to $250 per month. Exposure to elements and aquatic pests is another disadvantage. Since you’ll be leaving your vessel in open water for weeks, you’re placing it at risk for severe weather, long-term exposure to sunlight, and other elements like fragments and debris. Self-storage facilities are temporary homes to large vehicles including RVs, buses, and water vessels. They have a lot to offer — indoor and outdoor storage, 24-hour accessibility, and a drive-up access. If security’s your priority, we suggest you keep your boat in a self-storage facility. You don’t need someone to store or retrieve your vessel for you, as you can just drive up to the storage unit and do it yourself. You’ll be given the option to choose between outdoor or indoor storage. 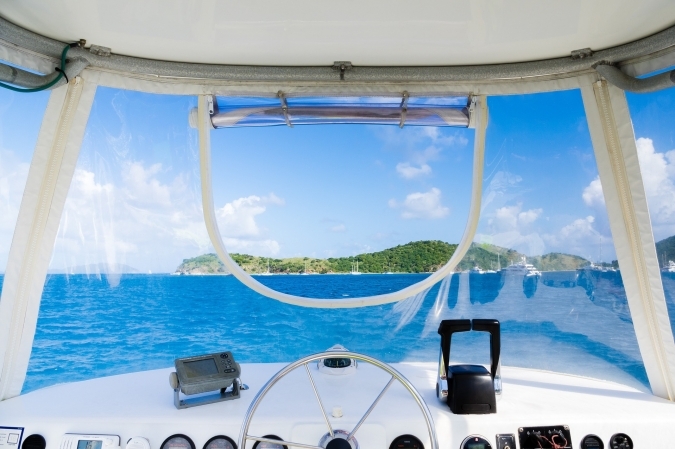 While leaving your boat inside is safer, it’s also more costly, so it all just depends on your main concern. Did you know that your old boat can provide much-needed assistance to the struggling veterans in your community? Once you donate it to us at Veteran Car Donations, you’ll make it easier for these former members of our armed forces to transition their way back to a normal life. We’ll sell your boat through auction and use the proceeds to fund vital assistance programs such as job training, mentoring, scholarships, adapted housing, counseling, and easier access to medical resources. Aside from boats, you can also donate other vehicles such as cars, trucks, campers, motorbikes, golf carts, snowmobiles, or even motorized wheelchairs. Making a donation with us is fast and convenient. As a matter of fact, contacting us is the only thing you’ll be doing. We’ll handle everything else, from the processing of your documents to the delivery of your tax-deductible sales receipt. You can also count on us to haul your vehicle away at no cost to you and wherever you are in the United States since we have car donation programs in all 50 states. Think about it: You finally get rid of a burdensome boat, transform it into a life-changing instrument for our veterans, and you get substantial rewards in return! That’s like hitting multiple birds in one stone! Call Veteran Car Donations at 877-594-5822 to get started with your donation today! Go Green by Spring Cleaning the Eco-Friendly Way – Here’s How!